American Apparel fitted girly tees, in baby blue and red. Hanes Beefy regular tees, in red, kelly green, and royal blue. 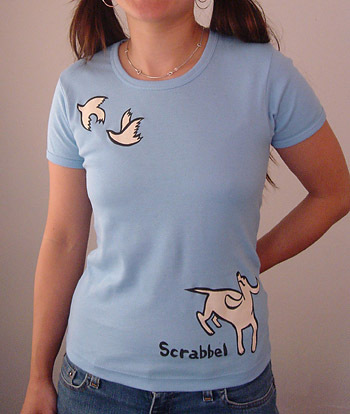 T-shirts designed by Nathalie Roland. $15.